The Gazelle Series People Counter provides an accurate people counting solution with built-in Ethernet Connectivity. There are several versions of the Gazelle series that can be combined to suit your needs. All require VisiCount software and POE connections. Gazelle DualView People Counters include video detection along with thermal detection to offer absolute verification capability provided by a live, real-time video feed. This also allows the counter to be configured locally or remotely with a high degree of certainty and accuracy. 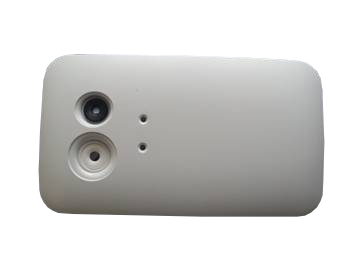 Gazelle IP People Counters offer thermal detection without the video camera. These devices offer the same thermal counting accuracy and remote configuration without video. Gazelle IP Node People Counters can be used in conjunction with the Gazelle DualView or Gazelle IP master devices to provide wide-opening counting capability over an extended area. Gazelle Relay Output People Counters are typically used with a wireless transmitter to provide connectivity in cases where network cabling is not available. Find out how a people counting system from Traf-Sys can help your business today! Thermal counting sensors detect body heat to accurately count people in a given space, and it’s how they function that makes them so versatile and useful in everything from retail to office spaces and beyond. Unlike traditional horizontal people counters that operate on an infrared beam that lacks precision across wide entrances, or video-based counters that may be confused by too much or too little light, thermal people counters are known for their high level of accuracy. Over the years, we’ve helped more than 17,000 locations make use of people counting technology — and we can report that thermal counting units are capable of 95 to 99 percent accuracy levels. This precision makes them the prime choice for retailers who prize accuracy above all else in a counting system. They’re not affected by lighting conditions: As long as there aren’t drastic temperature changes where they’re used, thermal units operate well — even when bright lights, low ambient light and shadows would throw off the accuracy of video-based units. They’re designed to be discreet: While horizontal infrared units can easily be spotted on door frames and in entrances, thermal units are usually ceiling-mounted and can be installed more than 25 feet off the ground. This position makes them a much more inconspicuous way of tracking customer numbers. They’re effective across wide spaces: Since they use heat to register their readings, thermal units aren’t confused by wide open areas and can even differentiate between people entering and leaving a given space. They facilitate green operations: For businesses that prefer to operate in a more sustainable fashion, thermal people counting sensors can help inform decisions about when it’s smart to turn down or shut off HVAC systems based on the occupancy of a room or office. Check out all of the products Traf-Sys has to offer in our NEW product catalog!